People often ask “What does ‘Firstfruits’ mean?” “Why did you pick that name?” “Shouldn’t it be spelled ‘First Fruits’?” I’ve even gotten an email asking if we were a produce co-op. I thought that since we are starting our eighth year of Firstfruits this fall and celebrating one year in our new home in Elm Grove, maybe it’s time I explained our name. 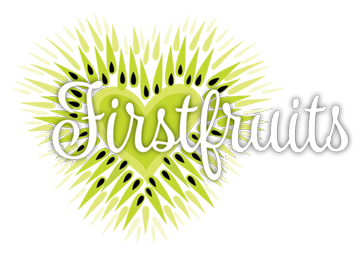 “Firstfruits” is a biblical term. As mentioned in the Old Testament, firstfruits were the best of the harvest given to God. They signaled more to come and were sacrificially given as a sign of reverence and obedience. 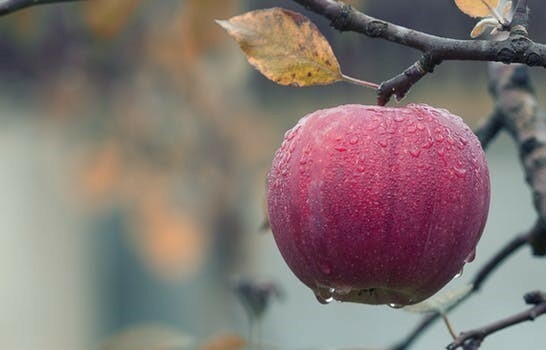 In 1Corinthians in the New Testament Jesus is referred to as the firstfruits of the resurrection. His ultimate sacrifice in obedience redeemed us and made way for more to come as we too can experience resurrection and eternal life as we trust in him. It’s also mentioned in the book of Romans that as redeemed children of God we possess the firstfruits of the Holy Spirit, the best of the Holy Spirit which is a foretaste of the many other blessings that are to come. This notion of firstfruits stuck with me. The idea that we are to give of the best of what we have and what we are to God really challenged me. I knew I wasn’t giving God my best. Often, I was giving him what was left. I’d give him a couple minutes at the end of a busy day in prayer. I’d give him the change that was left in my wallet as the basket was passed in church. I’d eke out a bit of compassion and a halfhearted hug for a needy co-worker who needed more. I wasn’t giving God my best, my firstfruits, because I didn’t really know this God I was supposed to be giving to. I needed to get to know God. As I began to seek him out he let me find him and what I found has changed me forever. The love, forgiveness, tender care, and compassion motivates me to give my best. I don’t always succeed but trying has become a priority. This season at Firstfruits we want to help you find God. Whether you’re beginning the search, deepening the search, or totally confused about what the search even means we want you to join us. Check out our September calendar online now. Our first mini retreat is September 27-28. We hope you can join us. So if you’re in the market for half price watermelon or peaches in the shape of a donut (what are those things? ), Firstfruits can’t help. If you’re looking for a relationship with God, deeper understanding of God, or a place to question we have just the thing.